Baritone Nathan Gunn was recently profiled in the Wall Street Journal’s “What’s Your Workout?” feature. The semi-monthly series looks at the workout routines of various “executives” around the country—how they stay in shape, what music motivates them, their favorite workout gear, etc. 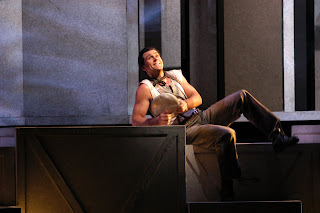 Gunn, who was last seen at Seattle Opera as Ríolobo in Florencia in the Amazon, talks about how he prepares for his (often shirtless) roles, his favorite post-performance meal, and how he maintains his workout routine while away from home. Check out the article here, and don’t miss Gunn’s return to Seattle Opera in the world premiere of Amelia this May.